Hello there, today I have a sweet Valentine's Day card to share with you using some of our brand new dies, which are perfect for the upcoming holiday. To create my card, I started out by making an A2 size card base out of cream card stock and cutting a smaller rectangle out of light pink card stock and added it to my card base. Next I die cut an A2 Frames Rectangular Scalloped using patterned paper and adhered it to my card front. Than I die cut a Quadrafoil Square Doily using glittered gold card stock and I die cut a Lattice Heart & Vines using cream card stock and inked up the vine looking parts and added darker pink card stock under the heart part and added all that to the card front. 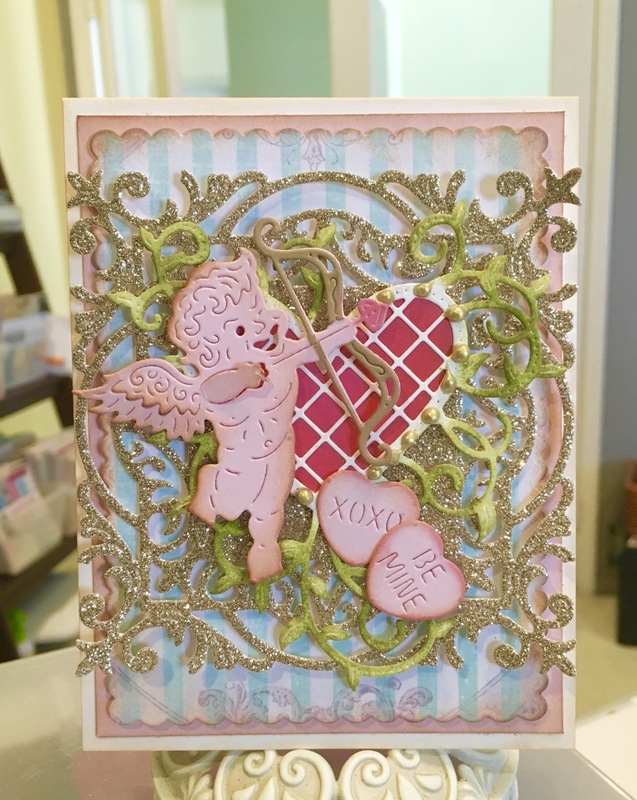 Next, I die cut the Cupid twice, once out of light pink card stock and second time out of craft card stock and paper pieced it together and added it to my Lattice Heart and Vines die cut. 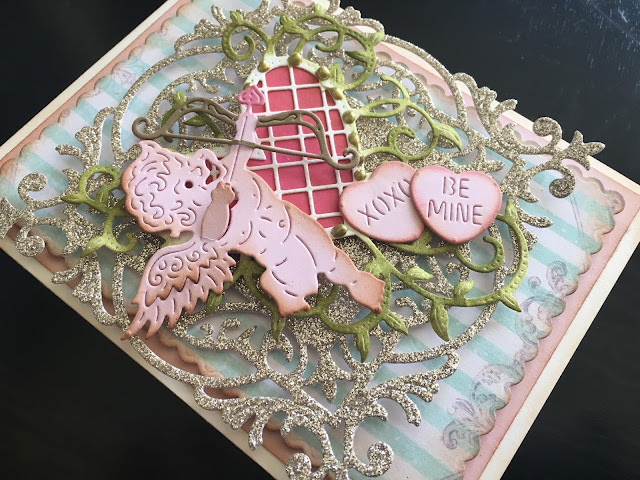 Finally I die cut the Sweetheart Candy using light pink card stock and added two of them to my card and as the final touches, I added some gold crystal drops around the heart design. Thank you for stopping by and hope you participate in our challenge. Can't wait to see your cards!